Dedicated to the men we love. Ladies, last month was your time to shine. This month it’s all about the guys. This issue of West Chester & Liberty Lifestyle is packed full of stories about amazing men who are helping to shape our community in a variety of ways. Ladies viewed the latest fashions at the semi-annual Art On Symmes Spring Fashion Show on April 27. The show was hosted at the Fitton Center for Creative Arts and benefited The Greater Miami Valley YMCA Booker T. Washington projects, and featured spring trends from both local and national designers. Five local students and five adult leaders were recognized at the Sixth Annual "Heroes of Character" Celebration on March 15 at the Courtyard by Marriott in Hamilton. The event was hosted jointly by the Hamilton City of Character and The Character Council of Greater Cincinnati. Congratulations to the winners! Mercy Health Foundation’s second “Angels Among Us” event, presented by US Acute Care Solutions, took place Saturday, April 29, at the Duke Energy Convention Center. This celebration honored the 2017 Mercy Health Angel Award recipients—dedicated and selfless caregivers who excel in compassion and service and live Mercy's mission every day. Did you know that every 66 seconds someone develops Alzheimer’s in the United States? A progressive neuro-degenerative brain disease, Alzheimer’s steals not only memory but judgment, identity, the ability to think, plan—and ultimately life itself. June is Alzheimer’s and Brain Awareness Month (ABAM), an opportunity to join a global conversation about the brain, Alzheimer’s disease and other dementias. Not only does Nick Brandenburg Jr. dream big, he knows how to make his dreams a reality. His entrepreneurial spirit sets him, an 18-year-old recent Lakota West graduate, apart from others his age. 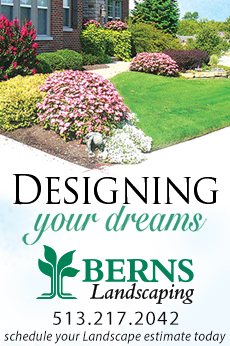 Brandenburg is founder and CEO of Forever Green Lawn & Landscapes.